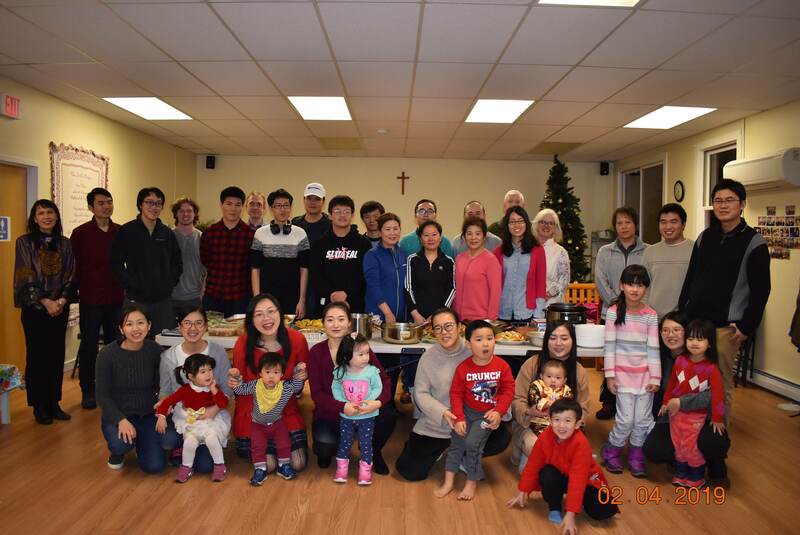 Agape Community Church in Burlington, Vermont, held Lunar New Year Event at the church with Chinese families in the community. The New Year following the lunar calendar marked on February 5th this year. Most Asian communities celebrate this day with special food and activities as a moment to begin new year in wishes and prayers. Church prepared traditional Chinese food and family activities to invite local Asian people to enjoy this holiday together. After giving thanks to God’s blessings in the past year and this coming year, they had a family meal together. During the event, the minister went to each attendee to handout a bible verse card and had a short conversation with them. Some of the verses seem to be what they need to hear. Daniel, one of Chinese American members, received a bible verse card on God as the source of peace and strength as he was taking a break from school due to many challenges. Dekang, a very rational person loving knowledge, received a card that the fear of the Lord is the beginning of wisdom. Agape Church is regularly holding Cultural events to draw local people from Asian background. Many Asian Americans or immigrant Asians come to church by those opportunities and be helped understand Bible and Jesus.